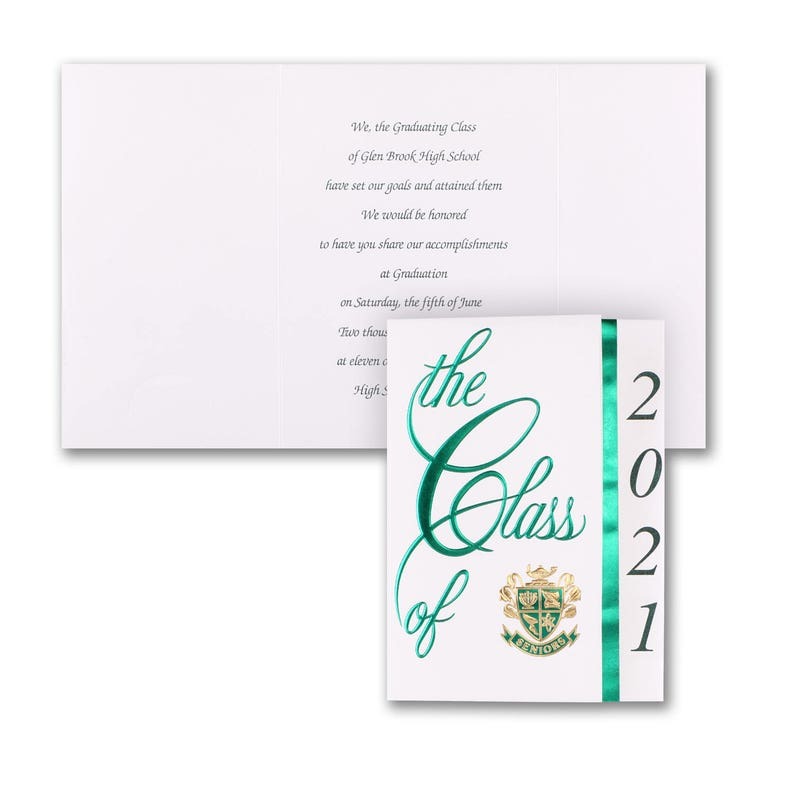 Class Colors Graduation Announcements Green, Personalized White And Green Graduation Announcements, White Envelopes Included. As a general rule you should mail graduation announcements two weeks before the graduation date or within four weeks after graduation. Graduation announcements tend to lose their purpose if sent too late after the graduation. Choose this crisp white announcement with gold foil to let your friends and family know you are graduating. ♦ From the "Price List" click on the number of announcements you want to order. ♦ Keep the "Quantity" as 1 and click "Add To Cart"
♦ On your cart page is a text box labeled "optional note to seller" where you can type your graduation announcement wording and other information. If you prefer you can email or convo the information to Aisle Time after your purchase. ♦ Complete your purchase and a proof will be emailed to you within 12 hours. Please review the emailed proof that you will receive after your purchase to make sure spelling and information is correct. Once you approve the proof your graduation announcements will take an estimated 2 business days to make and then they will ship. Need help with graduation announcement wording? Please contact Aisle Time via convo or email if you need help with graduation announcement wording. I can email several graduation announcement verses for you to select from or make changes to. 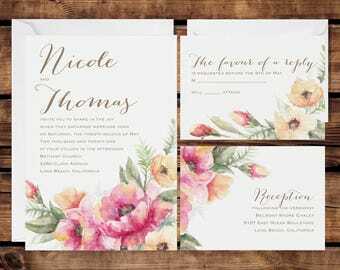 Open House Graduation Invitations Senior Photo Collage Featuring Gold Foil Detail With Full Color Backing Options, White Envelopes Included.